A little known fact some people don't know about me is that I competed in the Miss America system during college. Here is how that works. You must win a local preliminary to qualify to go to your state pageant...in my case, Miss Georgia. Then the winner of each state pageant competes in Miss America. 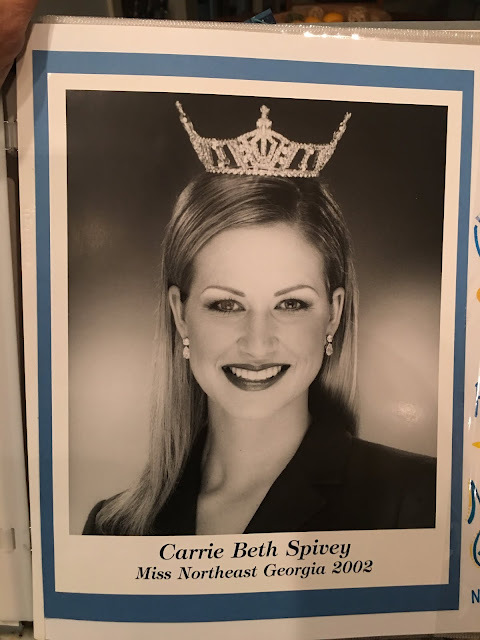 Now the main difference between Miss America and Miss USA is that Miss America has a talent portion to their pageants and there is also a community service expectation, also known as a contestants platform, in which they promote if crowned. 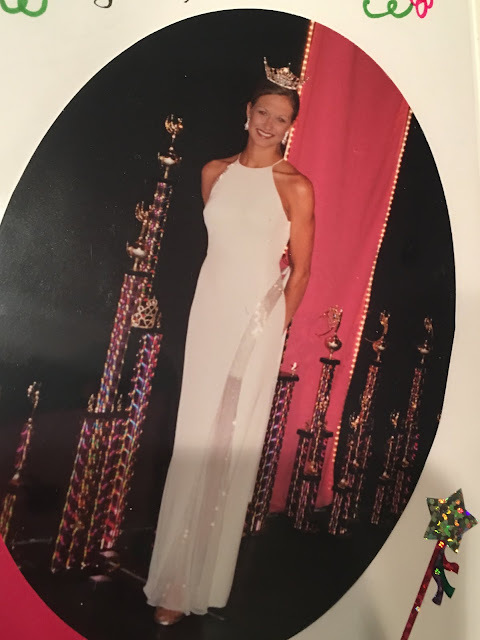 I danced pretty much my whole childhood and through high school so dance was my talent and my platform was promoting Special Olympics Georgia. My mom taught PE for special needs children so this was a platform I had grown up being involved in. I won two local pageant and held the title of Miss Northeast Georgia and Miss Mall of Georgia in the early 2000's. I went on to place in the top 10 at Miss Georgia. 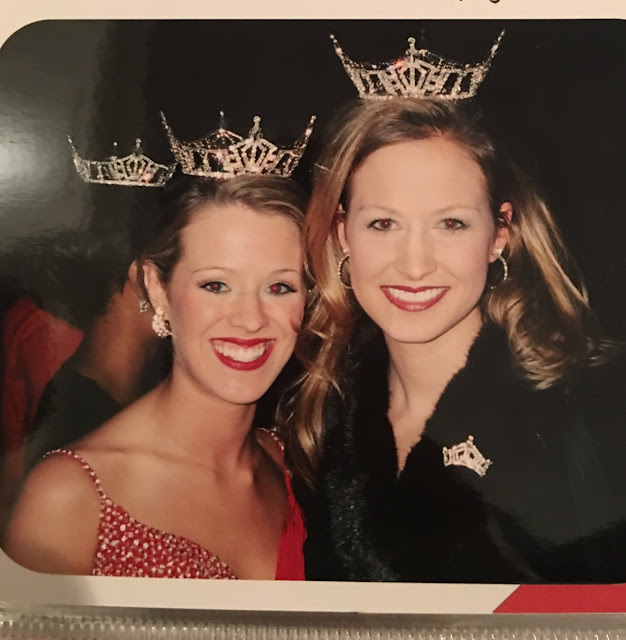 While my dreams of being Miss Georgia and competing in Miss America never came to fruition, I did have a wonderful experience and gained so much from my pageant days. 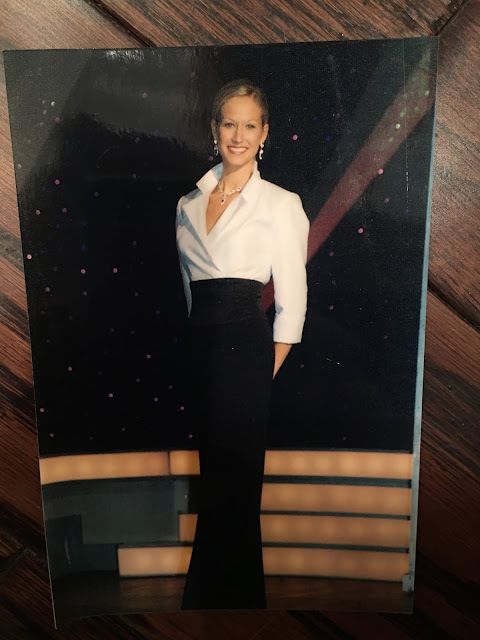 From killer interview skills and great stage presence to self-confidence, a fashion sense and lifelong friends, my time involved in these pageants was something I would never change and helped make me who I am today! This was such a huge part of my life during that time, but now I feel so far removed from that world until recently when an old pageant friend contacted me about judging. 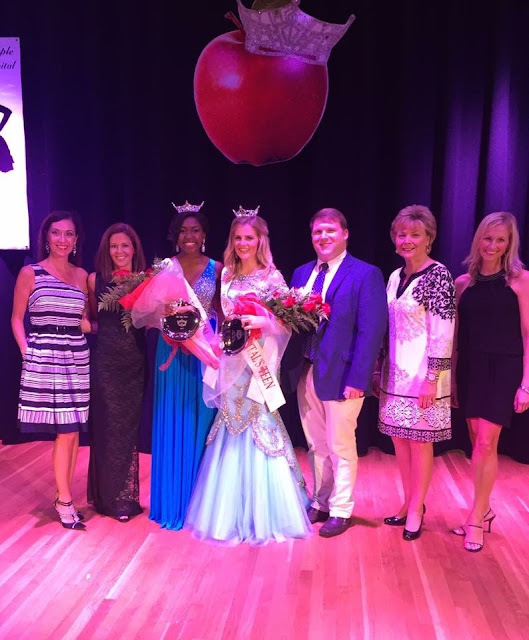 She is now the executive director for a local Miss Georgia prelim, Miss Apple Capital in Ellijay, Georgia. I was both surprised and honored that she would ask me to judge, but I said yes and couldn't wait for the weekend to arrive. It worked out that Blondie had a sleepover party on the same day and Boo-Boo and the Mr. had made plans so Little Mama got to come with me. I was so happy to be able to spend some one-on-one time with her on our little getaway and I knew she would enjoy the pageant. We left Saturday morning and had a light lunch before the interviews began. Here we are in our hotel just before heading to the interviews. Each contestant has a 10 minute interview with the panel of 5 judges. I was so impressed with the young ladies that were competing. They were well-spoken, intelligent, and passionate about their platforms. It was really a lot of fun for me to be on the other side of things and see it from a judges perspective. I was just as nervous as the girls were! While the interview were taking place, Little Mama just hung out in the waiting area and read her book. 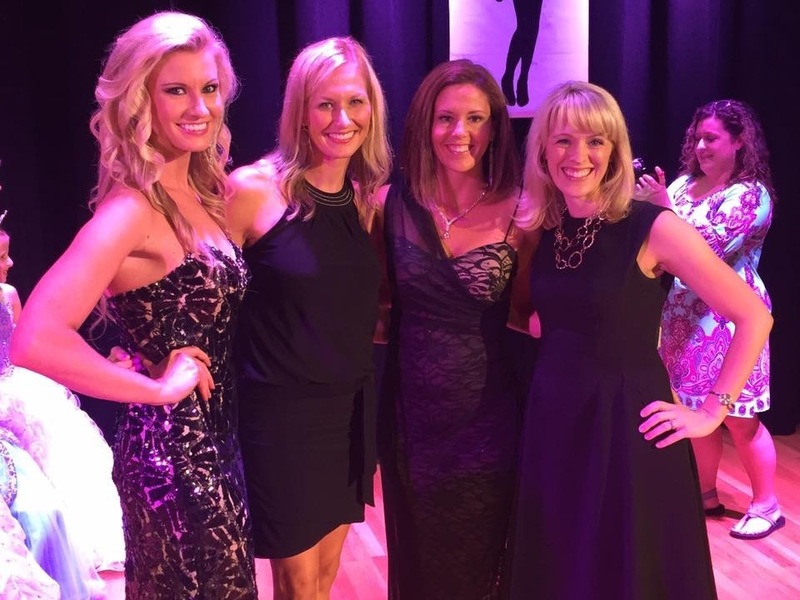 Next we changed quickly before meeting the other judges and a few of the pageant board members for dinner. We had a delicious dinner in downtown Ellijay and then made our way to the auditorium for the pageant. 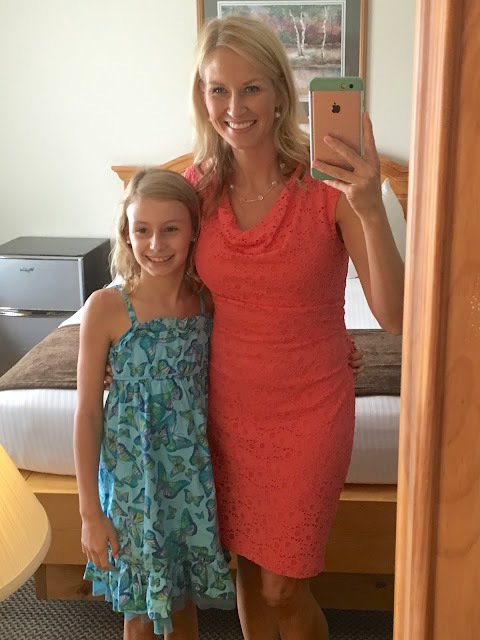 I loved having a reason to get all dressed up and so did Little Mama. In fact, all night long people kept commenting on how pretty her dress was and beautiful she looked. It was such a great self-esteem booster for her. Later that evening she told me she hoped she would have another opportunity to wear her dress again before she outgrew it. The pageant was great. All of the girls looked amazing and their talents were very entertaining. Lots of dancing, baton twirling, singing and piano playing. 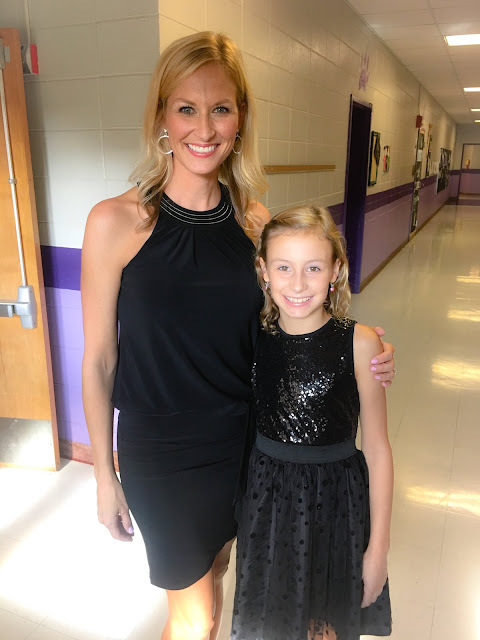 Little Mama loved seeing all of the talents and the gorgeous evening gowns. I felt really good about judging and I felt like the right girls won. There was a Miss and a Teen division so two girls will represent this area for the year. They both had an amazing interview and seemed very genuine. The judges with the winners. A then and now pictures with some of my old pageant friends that either serve on the board or were judging with me for the night. 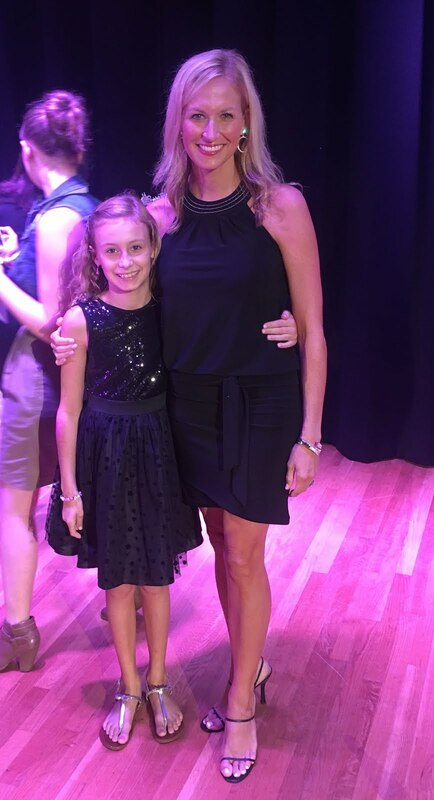 Little Mama and I on stage after the pageant. And funny story...these heels were actually the heels I wore for my evening gown competition back in the day. I had to go digging through a bin of shoes that I NEVER wear to have something to wear for the night. I should also note that I changed to flip-flops as soon as got back to the car! 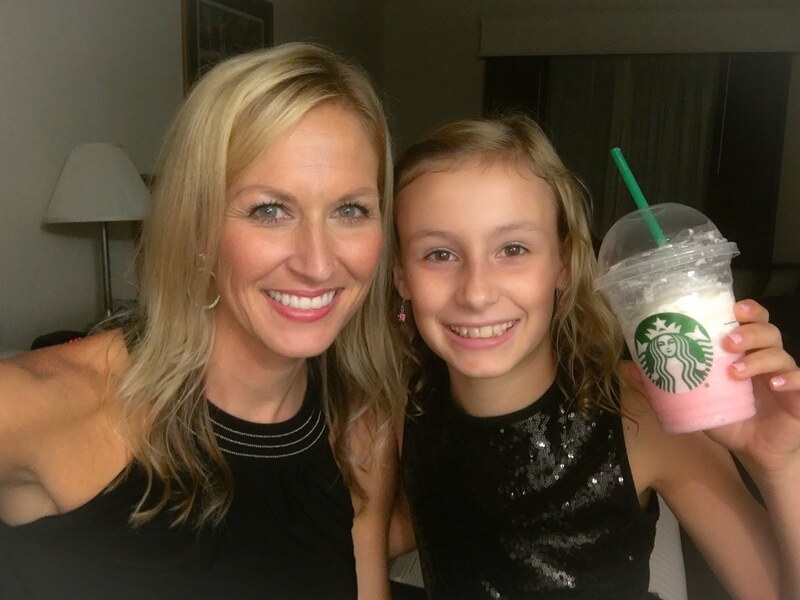 On the way back to the hotel, Little Mama and I stopped by and got her a Starbuck's treat and then were excited to change into pajamas and relax. We watched a movie in bed and fell fast asleep. She thought it was SO much fun to be in the hotel with me. It was a typical hotel room, nothing fancy, but she loved it and I loved our time together. The next morning we grabbed breakfast out and then made our way back home. She kept saying she wished we could stay longer and I felt the same way! I would have loved to explore the North Georgia area a little more and spend the day sight-seeing, but unfortunately we had baseball, a birthday party and cheer that afternoon. It was fun while it lasted and I hope we can have another mother-daughter time together soon.